some bodies , and Riemannian geometry . 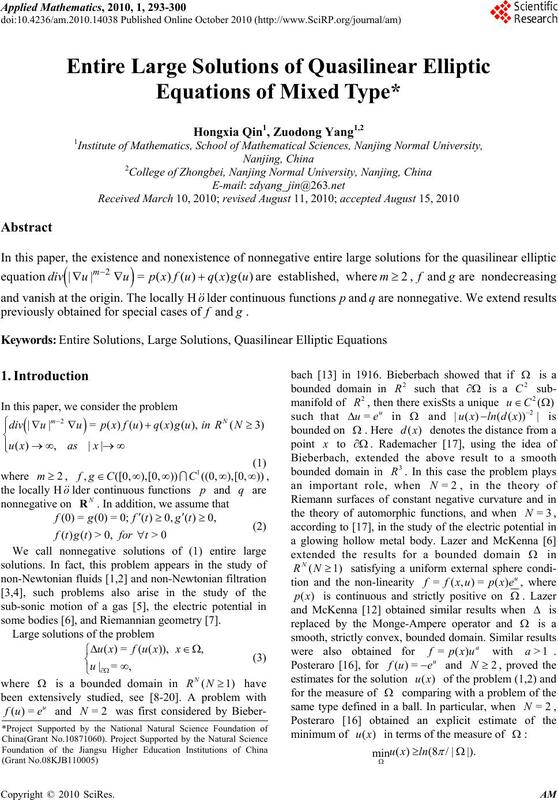 H. X. QIN ET AL. defined on an 1)( N-dimensional space. which is a very important condition in our main results. and complement of the results in [10,25,26]. In this section, we will state the first of our main results. 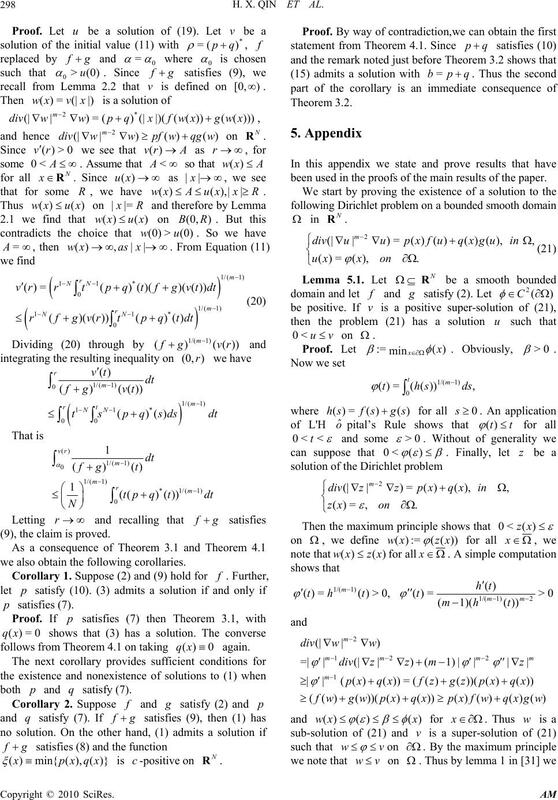 (See , Lemma 3) the assertion follows. is c-positive, then (1) has a solution. and other results that are of independent interest. that for some R, we have RxxuAxw  ||),()( . (9), the claim is proved. we also obtain the following corollaries. 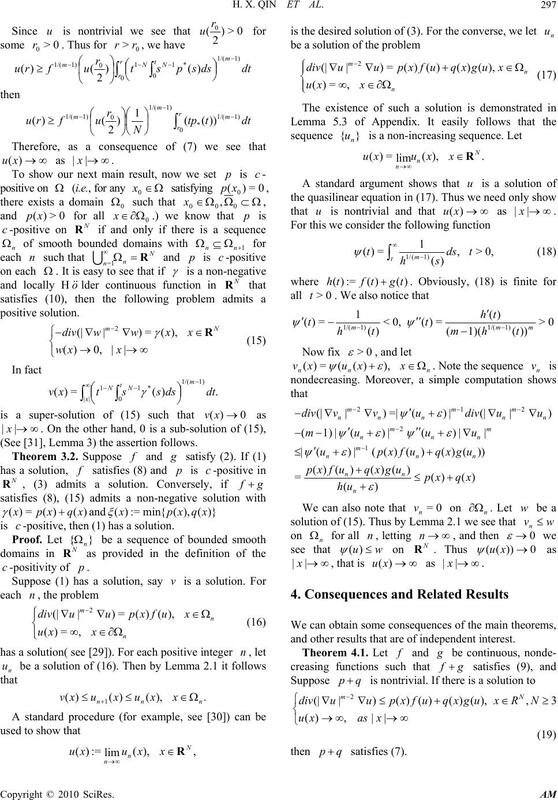 follows from Theorem 4.1 on taking 0)( xq again. both p and q satisfy (7). 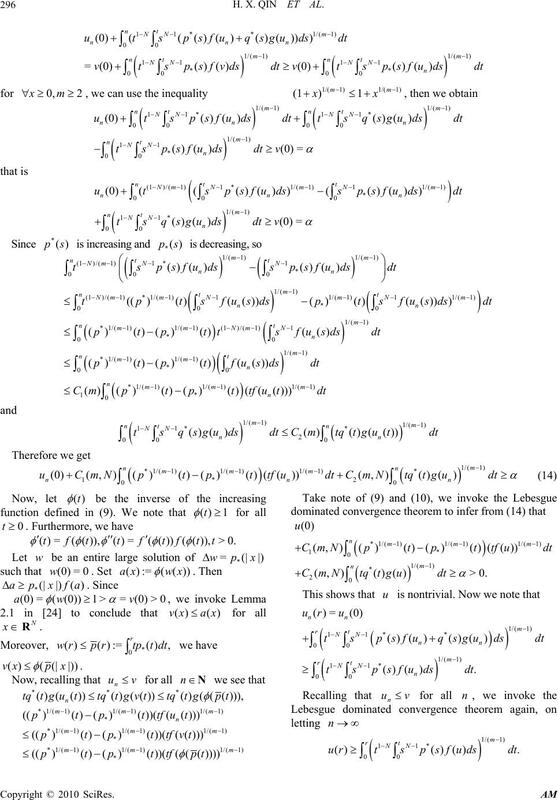 been used in the proofs of the main results of the paper. negative solution of problem (22) on Bas claimed. 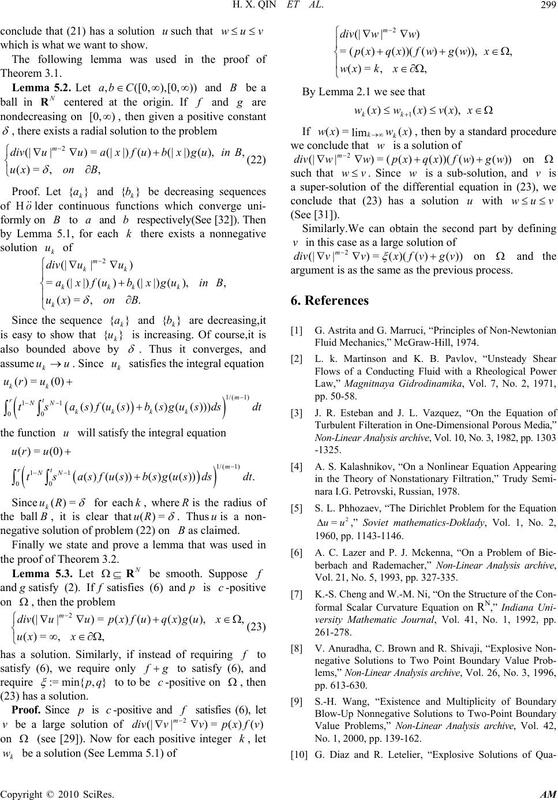 the proof of Theorem 3.2.
argument is as the same as the previous process. nara I.G. Petrovski, Russian, 1978. Vol. 21, No. 5, 1993, pp. 327-335.
versity Mathematic Journal, Vol. 41, No. 1, 1992, pp. No. 1, 2000, pp. 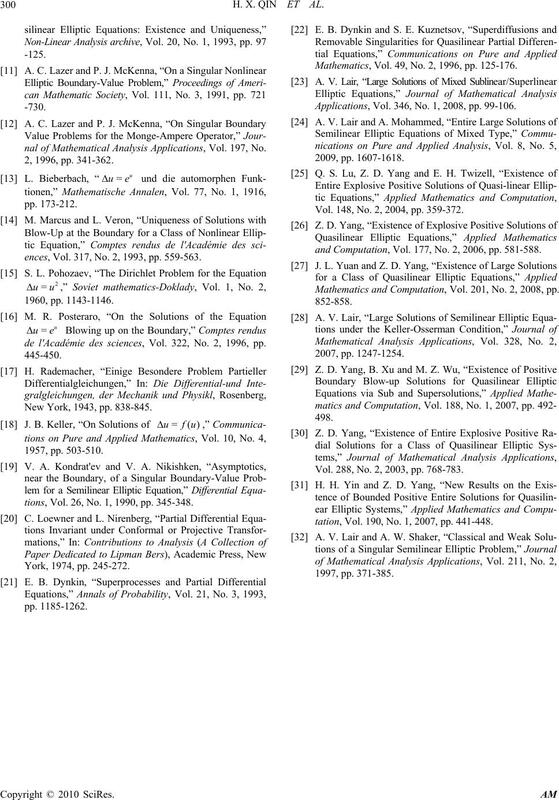 139-162.
nal of Mathematical Analysis Applications, Vol. 197, No. ences, Vol. 317, No. 2, 1993, pp. 559-563.
de l'Académie des sciences, Vol. 322, No. 2, 1996, pp. New York, 1943, pp. 838-845.
tions, Vol. 26, No. 1, 1990, pp. 345-348. 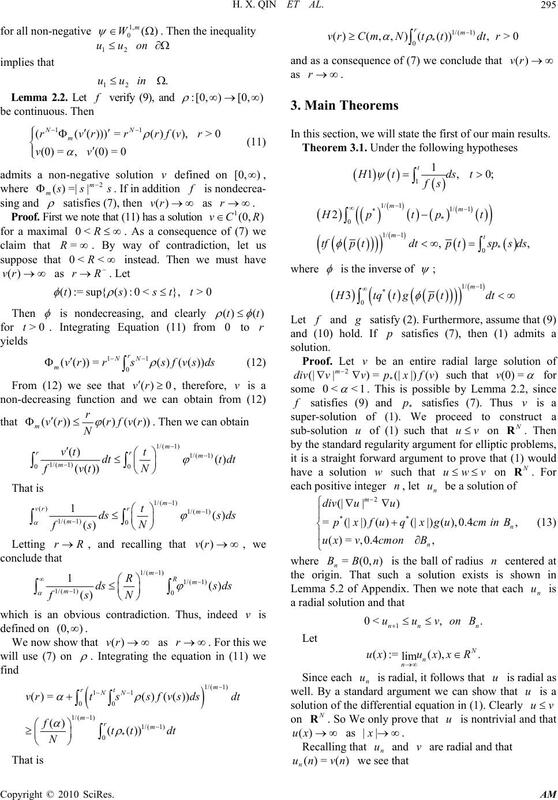 Mathematics, Vol. 49, No. 2, 1996, pp. 125-176. Applications, Vol. 346, No. 1, 2008, pp. 99-106. Vol. 148, No. 2, 2004, pp. 359-372.
and Computation, Vol. 177, No. 2, 2006, pp. 581-588. 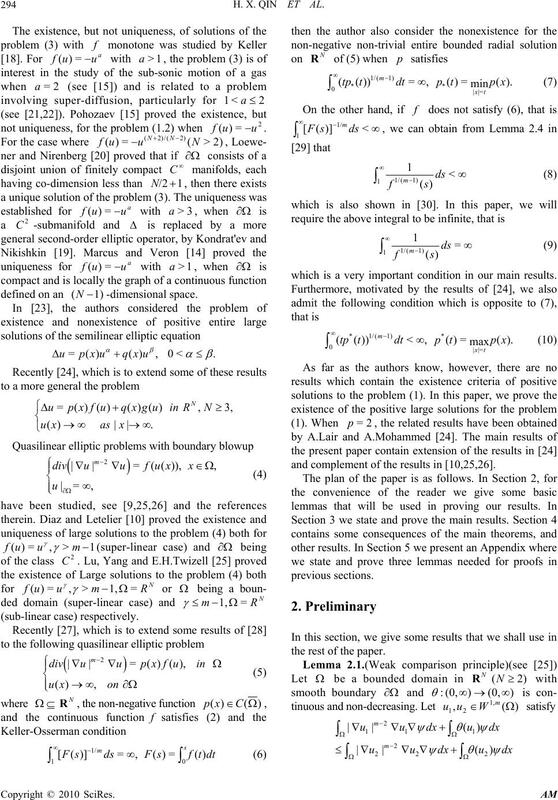 Mathematics and Computation, Vol. 201, No. 2, 2008, pp. Vol. 288, No. 2, 2003, pp. 768-783.
tation, Vol. 190, No. 1, 2007, pp. 441-448.